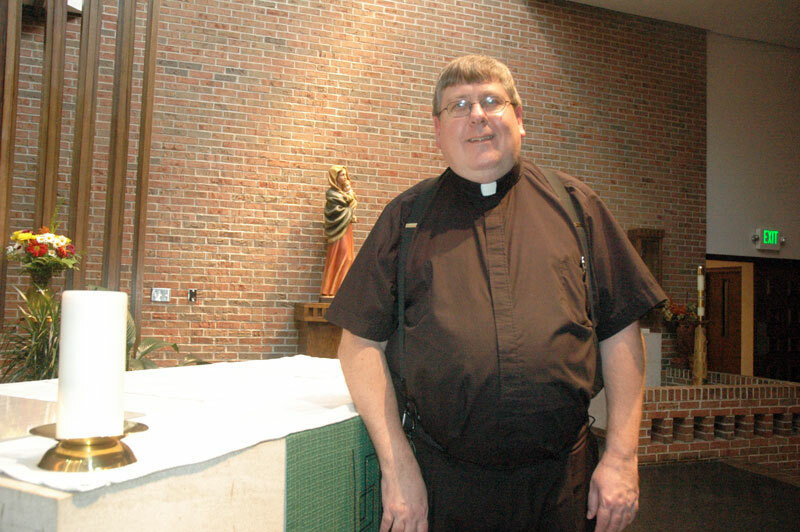 Father Anthony Volz is the pastor of Christ the King Parish in the Indianapolis North Deanery. He was ordained in 1985. He is 52. Born in South Dakota, he and his family moved to Indiana when he was 5 and became members of Immaculate Heart of Mary Parish in Indianapolis. A “losing” fight—A 1975 graduate of Bishop Chatard High School in Indianapolis, Father Volz was a college seminarian for the archdiocese for one year at the former Saint Meinrad College before disaffiliating and transferring to Butler University in Indianapolis, where he studied business administration. The power of a priest—The thought of the priesthood had such staying power in Father Volz’s mind because of the life and ministry of Father Edwin Sahm, the founding pastor of Immaculate Heart of Mary Parish, who led it from 1946-76. Love your mother—Father Sahm and the other priests that served at Immaculate Heart of Mary Parish also instilled a love for the Blessed Virgin Mary in the young Tony Volz that remains to this day. “During the month of May at Immaculate Heart, in those days, we would all gather at the shrine every night,” Father Volz said. “And one of the priests would come out and say the rosary. It was after dinner, around 7 p.m. The power of a parish—Immaculate Heart of Mary Parish is tucked away in a neighborhood in the north central part of Indianapolis. Father Volz, his family and other parishioners lived within walking distance of the church. Serving his family—Both of Father Volz’s parents are deceased. His only sibling is a brother, who is 10 years older than him and lives in North Dakota. He has only one niece. But while he values and loves his kin, Father Volz has come to see the parishioners he has served over the years as his family. Learning from each other—Part of living in a family is listening attentively to other family members. The family table—Another part of living in a family is regularly gathering around the family table. Teach your children well—Teaching the young is also an essential part of family life. All of the parishes that Father Volz has served have had a Catholic school as part of its ministry. “I find that very life-giving,” he said. “… It invigorates me to do my best, to be a good example for our young people, because I think they have so much to offer and they have so many struggles that I never had. It’s harder, I think, to be a teenager now. But, at the same time, we have a lot of good, fine young people. Considering the priesthood?—“Pray. 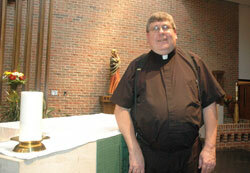 Prayer is just so vital,” Father Volz said. “… You can fight with God a little bit. You can argue with him.